Emotional trauma is seen daily in the clinic and often goes without being fully cleared or even addressed. It can be argued that everyone experiences emotional trauma at some point in their life, whether it be at birth, in childhood, in adolescence, from a car accident, an emotional upheaval (i.e. divorce) or from losing a loved one. These traumas can upset the harmony of the body’s physiology and thus reduces the body’s innate ability to heal and regulate itself. Once these traumas are identified and treated, the body will function more at an optimum level and will respond to treatments for other conditions present (i.e. whiplash, digestive upset, memory loss, concussion, muscle-skeletal conditions, etc.). CT Holman will lecture on how to scattered qi resulting of emotional trauma and explain treatment approaches. Emphasis will be on Facial Diagnosis but also include Tongue Reading, Pulse Diagnosis, and Channel Palpation. These methods not only identify current trauma but also deduce old traumas and can determine which emotional traumas are more significant. Treatments will include Classical Acupuncture, Chinese Herbal Formulas, Shamanic Drumming, Qi Gong, Meditations, and Lifestyle and Nutritional recommendations. How to prevent emotional trauma in the future, shoring up energy, and shifting trajectory will be discussed. Case studies will be included to fully demonstrate how practitioners can apply these methods in the clinic. Participants will break into groups in the afternoon to practice diagnosis on each other and formulate treatment plans. Physical trauma and pain are common complaints seen in the clinic. CT Holman will teach participants how to read signs on the face to accurately diagnose the location and underlying cause of pain. Often patients will report pain in a certain area but the root of the pain is located in a different area. For example, patients complaining of neck pain might have the root cause stemming from the mid-back but not feel the pain in this location. By reading the face, the practitioner can accurately identify and treat the location and cause of pain. This class will focus primarily on complaints in the spinal column. However, CT will present how to read the face to determine the etiology of the pain based on the organ physiology. For example, how to differentiate knee pain due to kidney deficiency versus heart deficiency by reading specific signs on the face. Emphasis will be on Facial Diagnosis but also include Tongue Reading, Pulse Diagnosis, and Channel Palpation. Treatments will include Classical Acupuncture, Chinese Herbal Formulas, Shamanic Drumming, Qi Gong, Meditations, and Lifestyle and Nutritional recommendations. Case studies will be included to fully demonstrate how practitioners can apply these methods in the clinic. Participants will break into groups in the afternoon to practice diagnosis on each other and formulate treatment plans. Note: Discount if you register for more than one event. About CT Holman, L.Ac., M.S. CT Holman, L.Ac., M.S., practices classical Chinese medicine in Salem, Oregon, USA since 2001. Emotional trauma is a focus of his practice and a specialty. CT incorporates multiple diagnostic and treatment methods in his practice brining a unique method to the classical Chinese medical community. CT teaches Integrated Classical Chinese Medicine Diagnosis, Applied Facial Diagnosis, Channel Palpation, Classical Chinse Medicine Five element Diagnosis, Shamanic Drumming, Qi Gong, and Shamanic Chinese Medicine internationally. 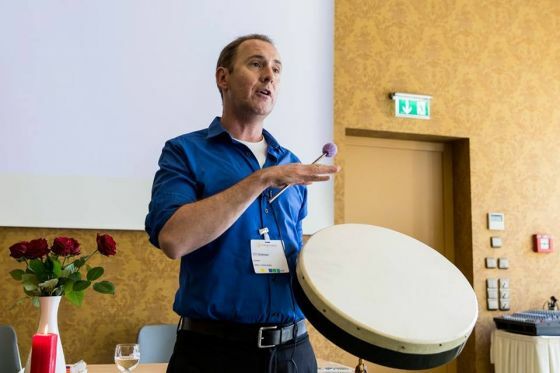 He recently presented at the TCM Kongress in Rothenberg 2015 in addition to teaching in Copenhagen, Mexico City, and several cities in the United States. He is the Director of Development for Lotus Institute Incorporated and is one of the facial diagnostic teachers. 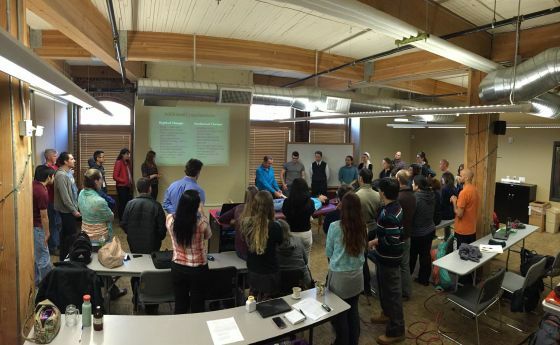 CT is an off-site supervisor for the Oregon College of Oriental Medicine for the masters and doctoral programs. He helped edit and contribute to the text book “Applied Channel Theory in Chinese Medicine” and has published in the Journal of Chinese Medicine. CT graduated from the American College of Traditional Chinese Medicine (class of 2000) and studied at the Cheng Du University Hospital, China (2000) and in Beijing, China with Dr. Wang Ju-Yi (2001 and 2003). Please visit his web site: www.redwoodspring.com for more information.